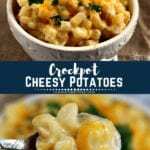 Crockpot Cheesy Potatoes are the perfect side dish recipe when you are entertaining for the holidays or hosting a party! 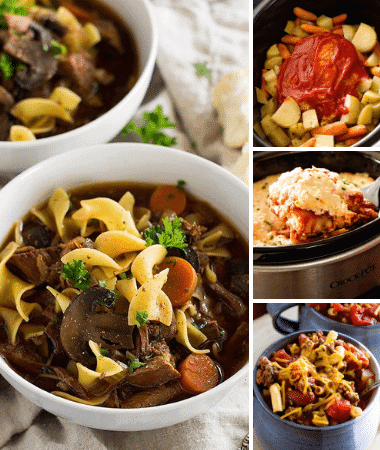 Mix all the ingredients in your slow cooker and let them cook while you get ready to host. 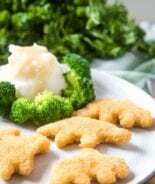 They are also great to take to potlucks because they are easy transportable. 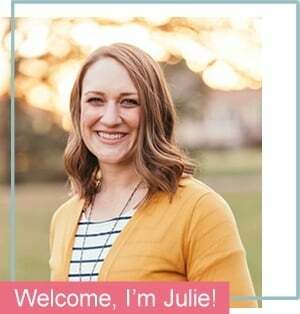 One of my fellow bloggers lovingly referred to me as the “Crock Pot Queen” the other day. I giggled to myself and thought well I think that crown fits so I’m going to wear it with pride. I adore my crock pot, slower cooker whatever you want to call it! It makes life so much easier. I can throw things in, walk away and go about my business especially during the week or when I’m hosting an event. It takes the “work” out of meal time! There’s only one instance that I don’t like it. That is when I’m stuck inside all day smelling the amazingness wafting out of it. It makes you hungry all day long! My friend that is a stay at home mom said she couldn’t use hers very much because of this reason. I’d have to say that might be the one time I don’t use it. But even stay at home mom’s need it when they are driving taxi and getting kids to all their activities all day long right? I remember my Mom saying that she needed a hat that said “Taxi” on it when we were in junior high and high school. Looking back I think I’d support this claim. Living on a farm she was always driving us in and out of town to our different activities. Bless her heart! 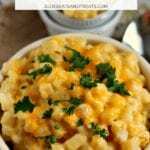 Weather you are planning for a holiday or party and need a side dish or you need any easy accompaniment to your dinner these Crock Pot Comforting Cheesy Potatoes are your easy ticket to a winner! 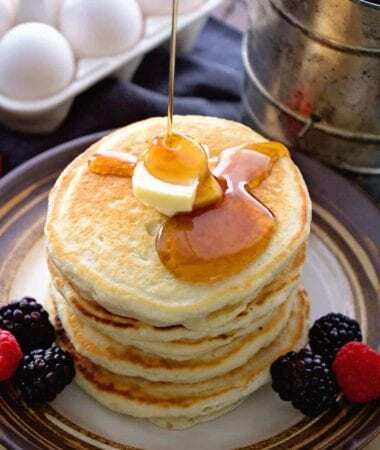 They are so simple and yummy everyone will be singing your praises around the table. Let’s get real that never gets old. The moment you look around at everyone and it’s quiet as people are enjoying every last bit of the meal you prepared for them! Another classic holiday favorite? 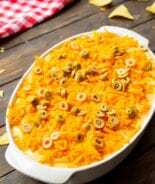 Be sure to try Crock Pot Green Bean Casserole! 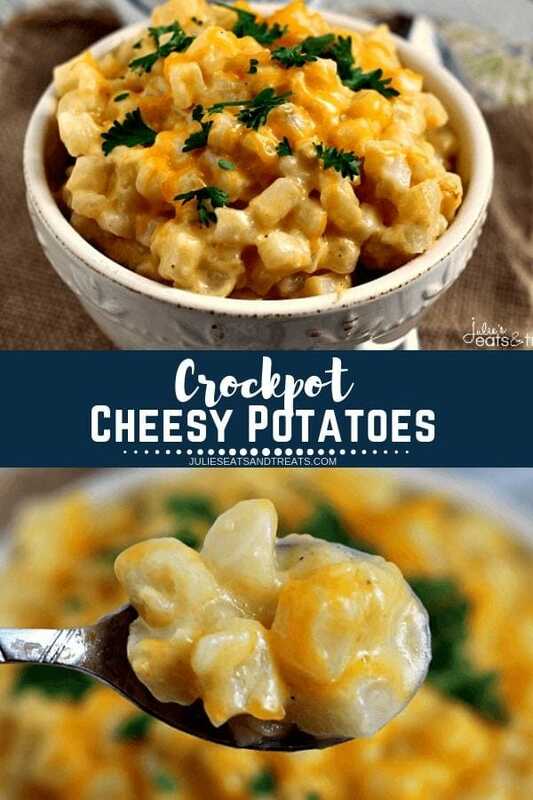 How do I make Crockpot Cheesy Potatoes? First grab a bowl and mix together the cream of chicken soup, sour cream, onion and butter. Next add your thawed hash brown potatoes and 1 1/2 c. of your sharp cheddar cheese. Stir until this is combined. Pour this into a greased 4 quart slow cooker. Cover and cook on low for 4-5 hours or until potatoes are tender. Sprinkle remaining cheese over potatoes, cover and let cook an additional 5 minutes or until cheese is melted. 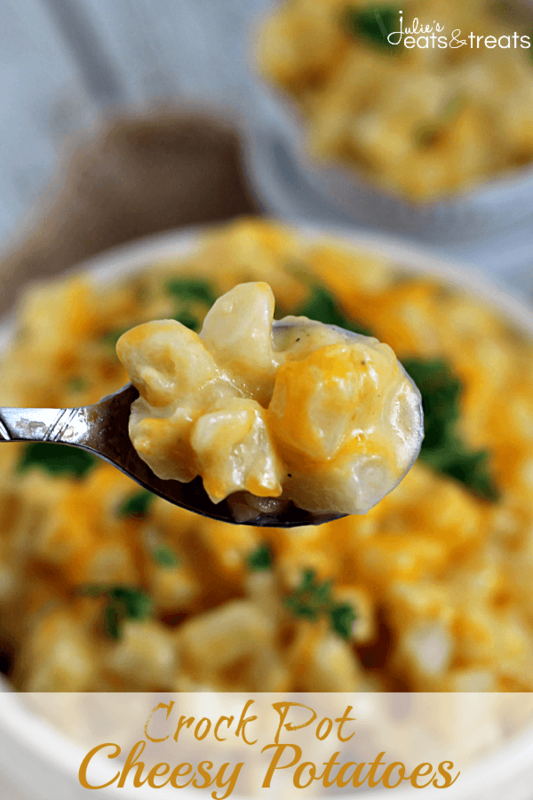 Can I make Crockpot Cheesy Potatoes in the Oven? Instead of putting these into a slow cooker just put them into a greased 9” x 13” casserole dish and spread out evenly. Cover with tinfoil. 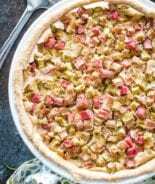 Place in a preheated oven at 350 degrees. Bake for 40-45 minutes or until nice and bubbly and heated through. Remove foil and continue cooking for 10-15 minutes or until cooked through and cheesy is just beginning to brown. More of my favorite potato recipes! 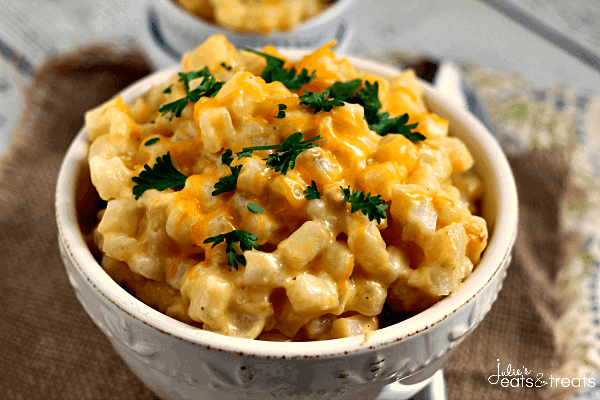 These Crockpot cheesy potatoes are easy and perfect side dish for the holidays or potlucks that is made in your slow cooker! Combine the cream of chicken soup, sour cream, onion and butter in a large bowl. Add hash browns and 1 1/2 c. cheese and stir until combined. Pour into 4 qt slow cooker, cover. Cook for 4-5 hours on low or until potatoes are tender. 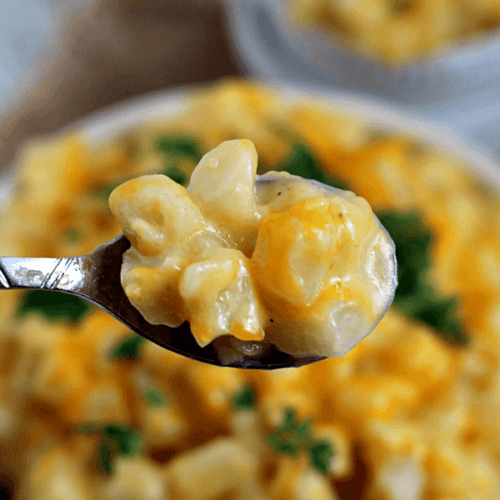 Sprinkle the remaining cheese over potatoes and continue to cook 5 minutes or until cheese is melted. 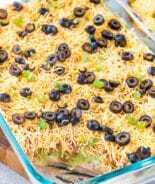 Put potato mixture into a greased 9'' x 13'' casserole dish and spread out evenly. Cover with tinfoil. Oh my I love your site and crock pot dishes. And these potatoes and the kielbasa are a must try them both. They look wonderful. 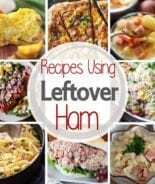 Thanks so much for posting such wonderful crock pot meals. These potatoes look amazing. I’m going to make them using the Delmonte cans of diced potatoes. They are real potatoes already cooked. The other night I made the Kielbasa bites and they were delicious. I grew up eating Kielbasa but it never tasted as good as the other night. Thanks for the easy to make recipes. So happy you are finding some keepers! Hope you find some keepers! I love cheesy potatoes! Haven’t ever made them in the crock pot but now I’m definitely going to! You’ve gotta try them in the Crock Pot! 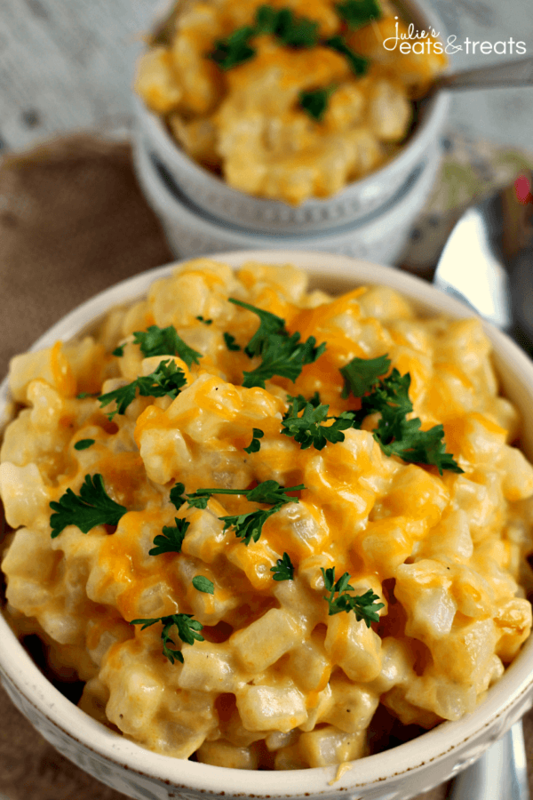 Love this easy cheesy side dish. So good!